Canna-Butter in My Coffee? Yes, please! There’s a new fad in coffee consumption that involves the blending of butter, coconut oil and organic coffee to create what is called “bulletproof coffee”. The term was coined by its creator, Dave Asprey, after modifying the yak butter tea recipe he picket up in Tibet. Despite being chalked-full of fat, bulletproof coffee is supposed to be a great way to start your morning (provided that it replaces breakfast given that a typical cup of coffee adds an extra 200 calories to your daily diet) because the medium-chain triglyceride oils (MCTs) used to prepare the coffee are healthy; they help reduce swelling of the brain to improve cognitive functioning, improve the body’s ability to absorb nutrients, and stabilize appetite to help control weight gain. With all of the apparent benefits of bulletproof coffee, why not bump it up a notch? Researchers have been touting the benefits of marijuana consumption (including relief from seizures and chronic pain, improved metabolic functioning and increased neurogenesis) as well as the benefits of consuming MCT oils (such as increased energy, improved nutrition absorption and elevated mood levels), which means that using the two in conjunction could be just the jump-start you need to have a happy,healthy day. First, it’s important to remember that the ingredients matter. According to Asprey, the best bulletproof coffee uses only organic ingredients which guard against the afternoon coffee crash. After a few seconds in a blender, you should have a frothy, latte-like cannabis coffee drink that will leave you feeling insensible — or at least pain-free — for most of the day. For some, the best part of waking up is that warm cup of Joe, for others it may be a fresh bowl of green. Now, the two come together to create a cup of coffee that’s good for your head, your body and your nagging back pain. Because when you combine two of your favorite things into one amazing one, you really can be unstoppable. What do you think? Would you try cannabis butter in your coffee? I gave up coffee for the most part as I overused caffeine much of my life, but I’d love to try this with decaf. Or maybe get creative and try to adapt the recipe with cocoa or chain or something. 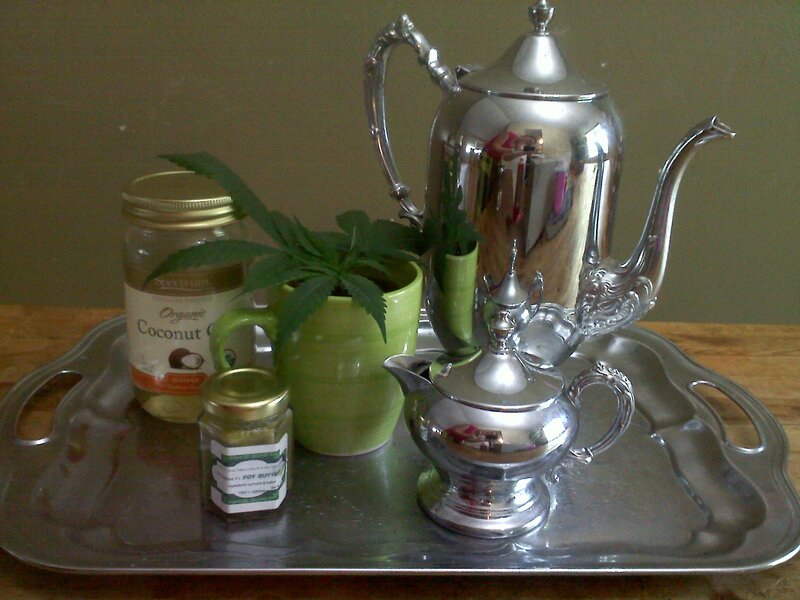 home-made hot canna-cocoa sounds amazing! I think I’ll have to try that once the weather cools a bit. Thanks for the idea! Of course! You know what, before I had easy access to dispensaries, I used to make homebrew edible cocoa by grinding a gram or so and then heating it in a bunch of whole milk with some extra butter added. Then I’d melt some 70-85% dark chocolate into it and BOOM, delicious weedcocoa. Also works with good chai brews.